Hannah Zlomke just revealed that Timbaland is working on a new TV Show titled #PopGame together with the professional dancer, choreographer and actor Benjamin "Benji" Daniel Schwimmer, that will air soon on Lifetime. 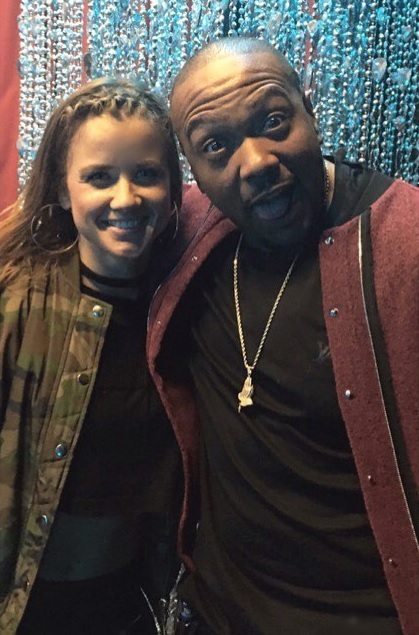 "hannah_zlomkeRecently working on the new tv show #PopGame produced by the one and only @timbaland was epic! And it was so awesome to work with @benjischwimmer and all the amazing cast and crew! Thanks for having me, grateful for the opportunity❤️...coming soon to Lifetime, Be sure to watch! #lifetime #dancer #timbaland #thankful"